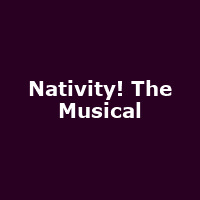 "Your favourite festive film is now a major new musical adapted for the stage by Debbie Isitt, the creator of the much-loved films. Every child in every school has one Christmas wish, to star in a Nativity, and at St Bernadette's School they've decided to mount a musical version! Join teacher Mr Maddens and his crazy assistant Mr Poppy as they struggle with hilarious children, unruly animals and a whole lot of sparkle and shine to make everyone's Christmas wish come true. Featuring all of your favourite sing-a-long songs from the smash-hit films including Sparkle and Shine, Nazareth and One Night One Moment."